Have you ever wanted to replace that ugly default logo or animation that is shown when your system boots up? Now you can with custom splash screens! Why are Splash Screens Important? Gateworks offers a LVDS connector on the Ventana Family of Single Board Computers to allow the connection of a LCD touchscreen display. LCD Displays are a great fit for control panel applications as well as Digital Signage. The displays work with Android, OpenEmbedded Yocto, Ubuntu and more. The LVDS connector has all the necessary pins for the display signaling as well as I2C for touchscreen control. 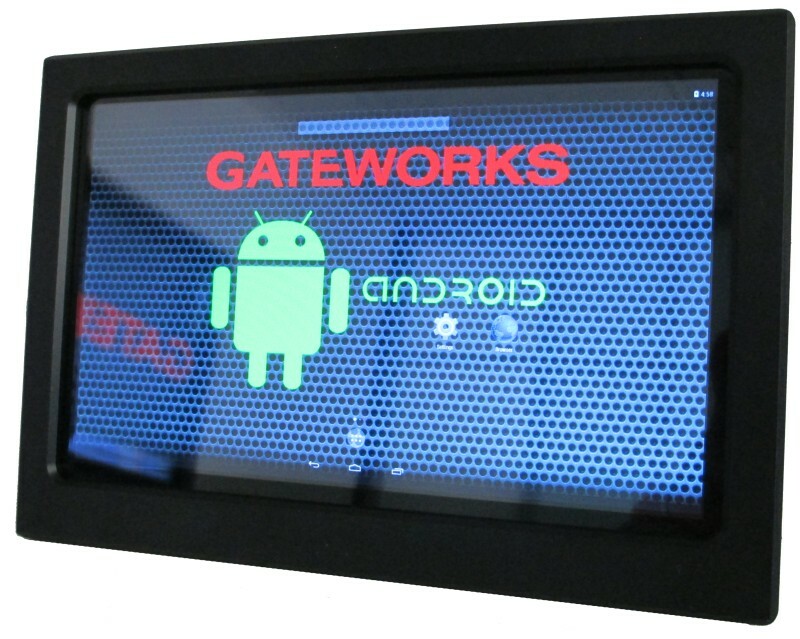 Gateworks offers a 7-inch LCD Display with a PCAP Touchscreen. This display is great to get started in development as well as for production projects. All of the cables, adapters and LCD can be found right on the Gateworks Online Shop so getting up and running is very seamless. Android is becoming a very useful platform for demanding embedded systems. When coupled with a LCD touchscreen, Android loaded on a rugged industrial single board computer can become the interface everyone desires. 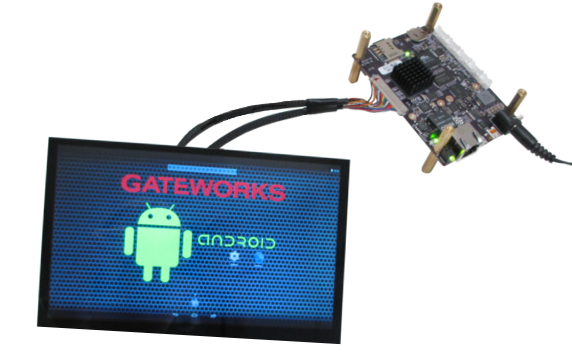 Gateworks has created a turn-key Android development system to bring a product to market quickly! Serial Console Adapter & more!